On Wednesday, a king died. 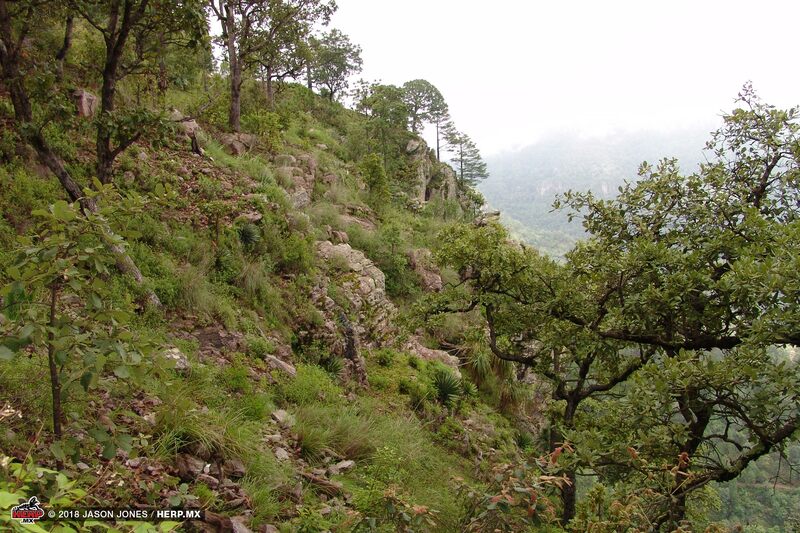 Wendesday, the 28th of August, 1968, found W. J. Voss and party winding up the rugged western slopes of the Sierra Madre Occidental on the infamous Mexican Federal Highway 40. In a particularly serpentine stretch where the road clings to the edge of gravity-defying cliffs, they found the slain rey. 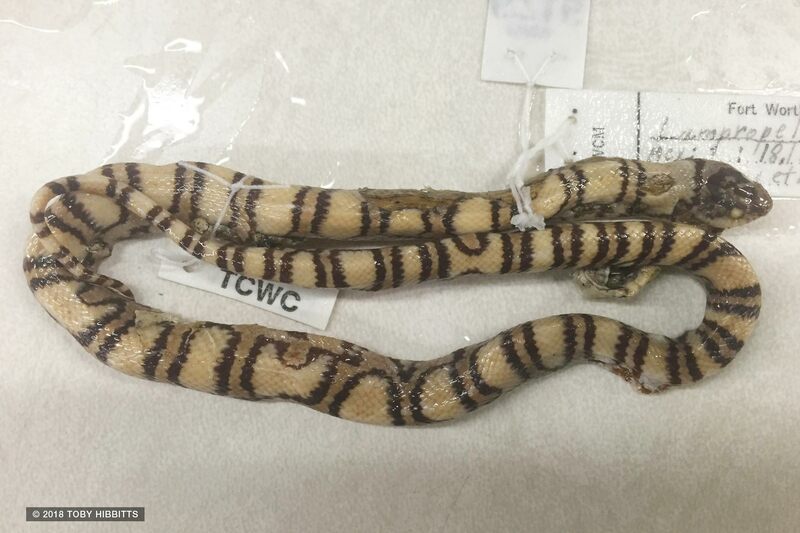 The kingsnake was preserved, deposited (in the Forth Worth Museum of Science and History), and almost forgotten. Fast forward 32 years to a rainy June afternoon. Rob Bryson, Deron Hartman and Javier Banda resolved some car trouble down in Mazatlán and were now scaling the same slopes via the very same highway. 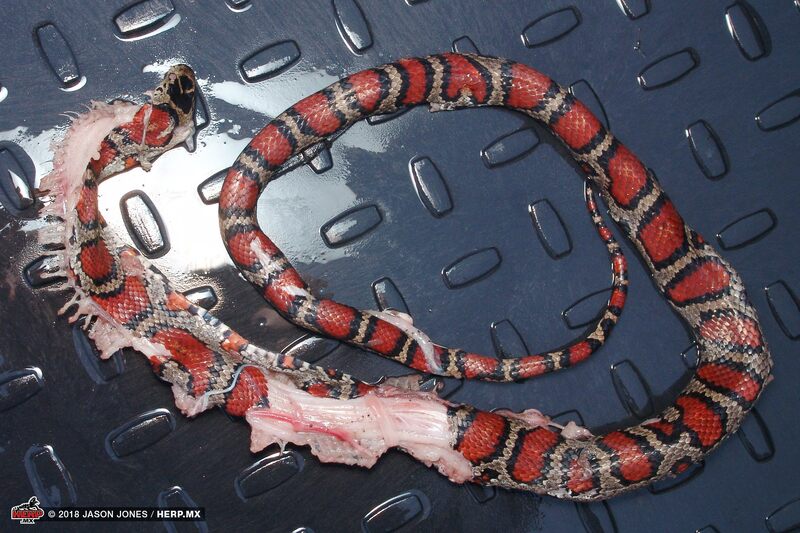 They encountered another dead kingsnake, not 10 miles from where Voss had found the first specimen over three decades prior. But what was it? 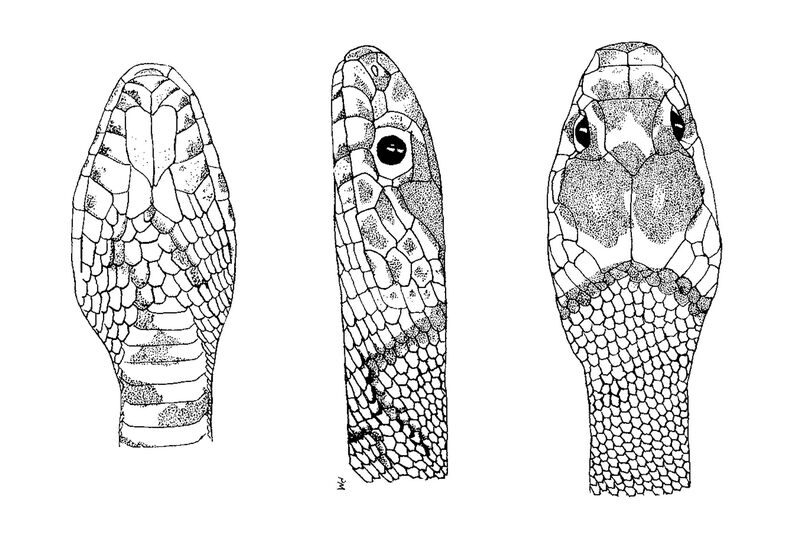 The snake was distinct from the Durango Mountain Kingsnakes (Lampropeltis greeri) found further east, and morphology set it apart from other mexicana-group kingsnakes. 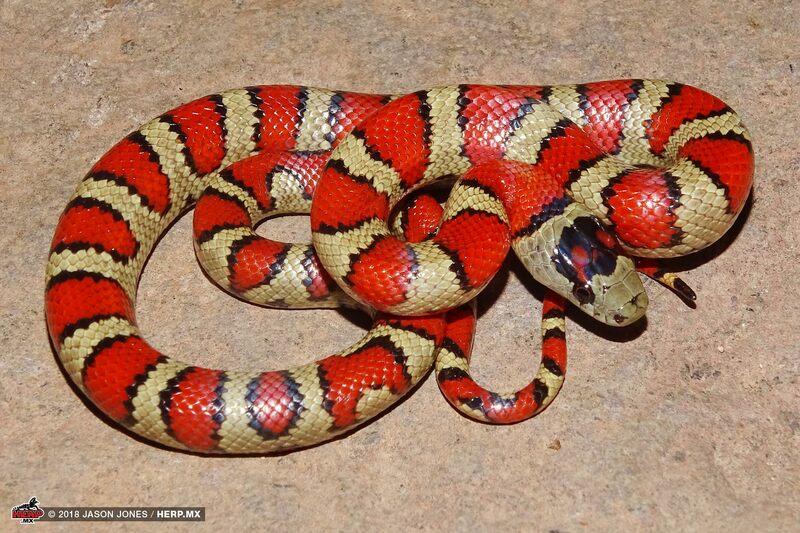 In the years that followed, the HERP.MX Field Team located three additional snakes, bringing the total of known Webb's Mountain Kingsnakes to 4 dead, 1 alive. 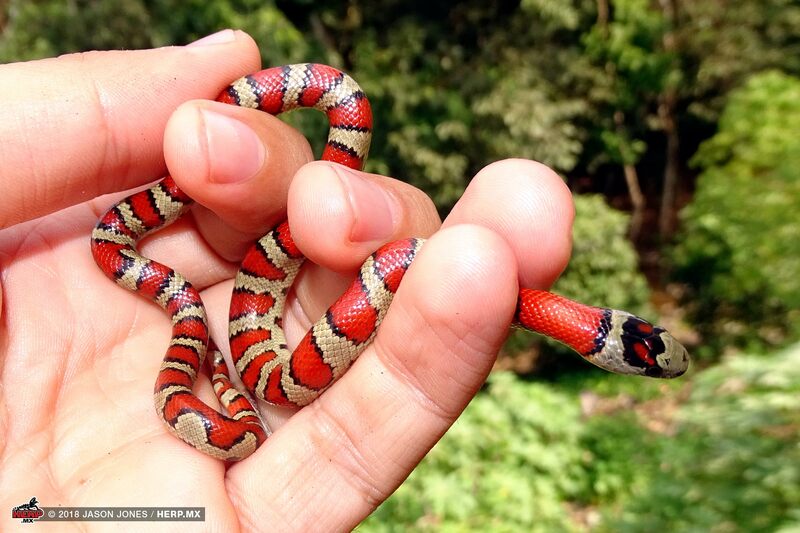 All of the snakes were found along the same few kilometers of Highway 40 — the epitome of the trecherous mountain road. It's every warning and road-hazard anecdote rolled into 300 km of rockslides, lane-invading trailers, bandidos, livestock — and the particular stretch home to Lampropeltis webbi is plagued by the worst of all: thick fog. 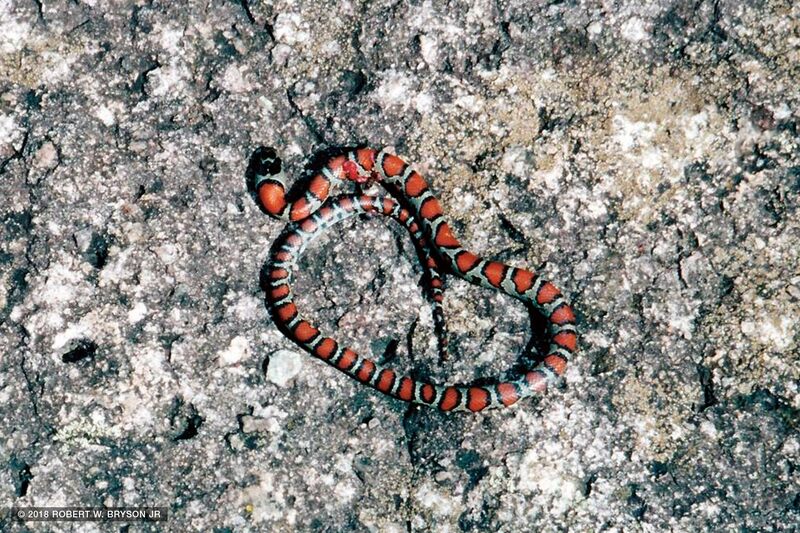 Given the difficulties with road-cruising for this species, the team searched for suitable habitat to field-hunt Webb's Mountain Kingsnake. Despite numerous attempts across a variety of elevations, the steep nature of the terrain, generally wet weather, and lack of herper-friendly habitat left us with only a few suspect shed skins. 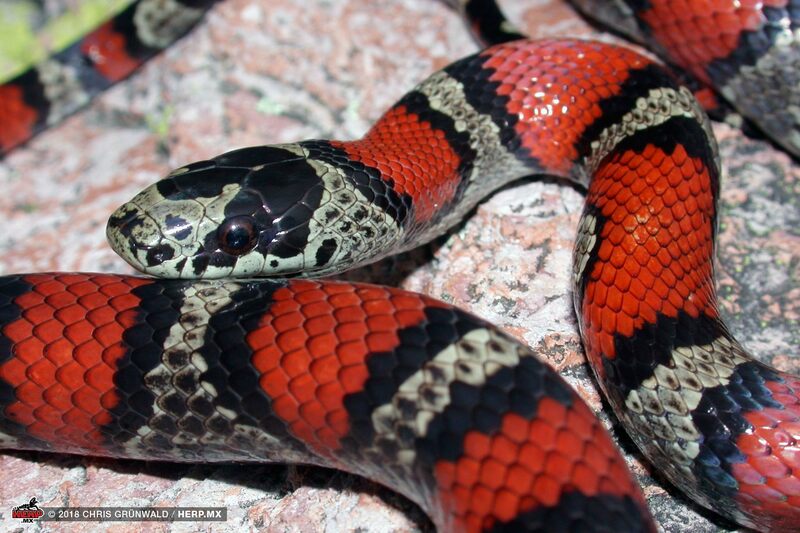 Suspected kingsnake habitat in Durango. On August 29th, 2018, 50 years and 1 day from the date W. J. Voss found the original specimen of Lampropeltis webbi (and also a Wednesday), the HERP.MX Field Team was on the western slopes of the Sierra Madre. 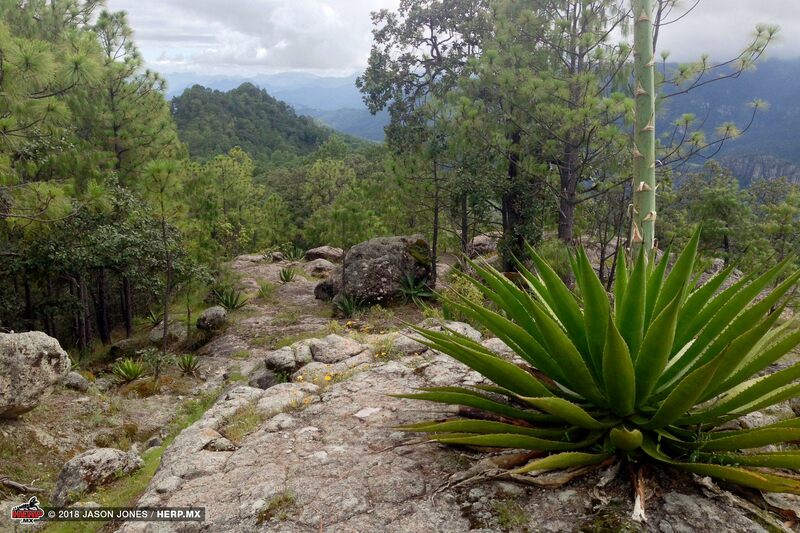 The trip was initially aimed at securing additional samples of Coleonyx fasciatus and Crotalus stejnegeri, but drug-related conflicts across the lower elevations created access issues and forced a change of plans. We now found ourselves on the edge of a deep barranca cutting east into the heart of the sierra where we hoped to see if intergrades between Crotalus lepidus klauberi and Crotalus lepidus maculosus might turn up. Heavy rains from the night before had saturated the thin patches of soil above the bedrock, so we moved quickly through the dryer "islands" of suitable cover. 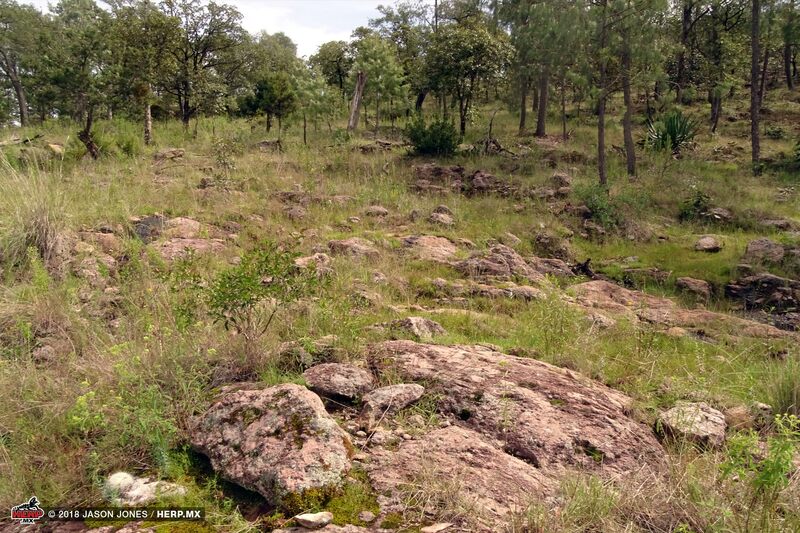 The habitat looked good for snakes, though probably not for rattlesnakes – a fact evidenced by the quick appearance of some Conopsis sp.. A lucky flip of an unremarkable cap-rock revealed a baby kingsnake – but what kind of kingsnake? 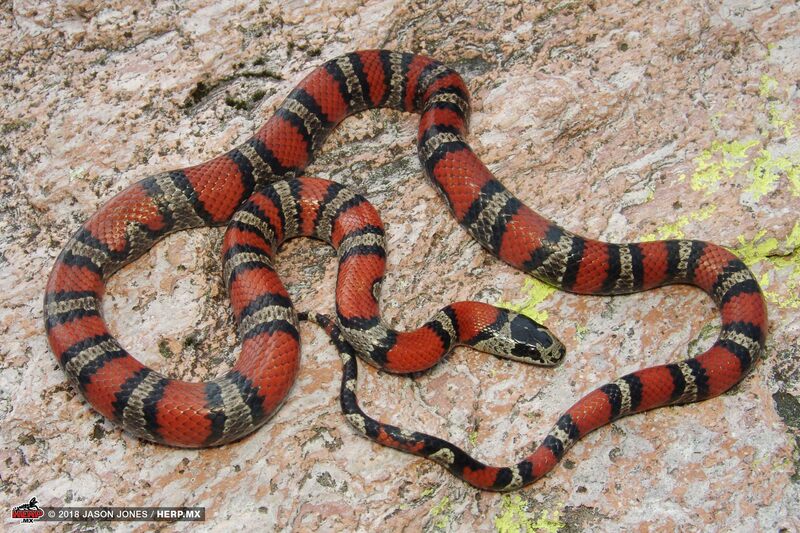 We were out of the known range for Lampropeltis webbi and still considerably west of the range of L. greeri. 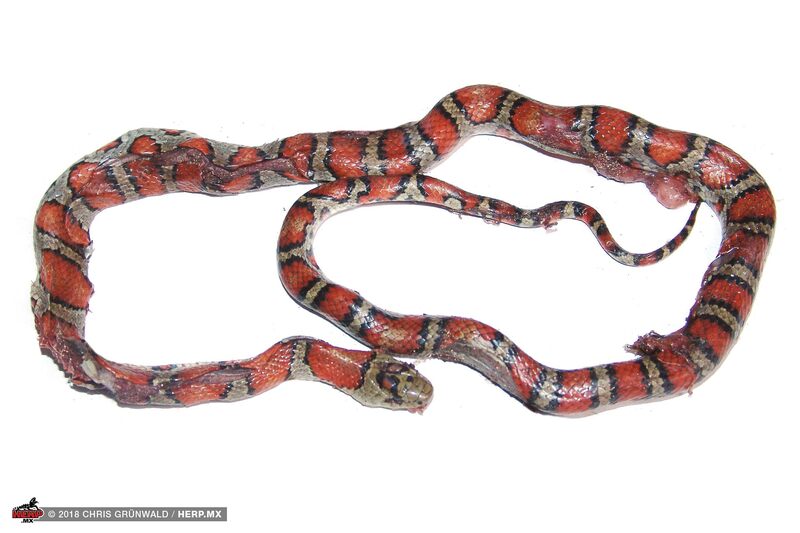 Ventral scale counts and a quick review with Lampropeltis-expert Robert Hansen identified the snake as the first field-collected Webb's Mountain Kingsnake. This tiny specimen represents a slight range extension, and is a glaring reminder of the massive holes in our understanding of these enigmatic kingsnakes. If you're considering a trip to look Lampropeltis in Durango and/or Sinaloa, please reach out, as we'd love to point you in the right direction and also towards areas requiring more work. For the time being, our attention has switched to chasing down L. webbi's northern limit, and we hope to have news on that soon. 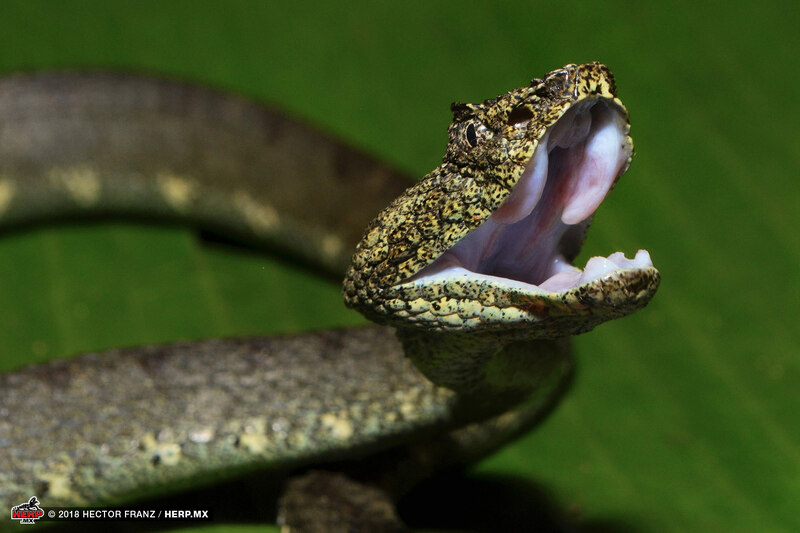 A trip to the south yields a new species of Gerrhonotus and some of México's rarest pitvipers.